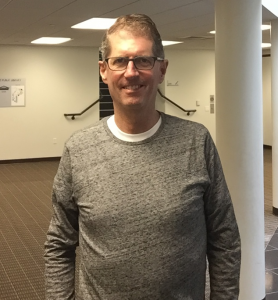 IOWA CITY, IOWA, USA, April 4, 2019 /EINPresswire.com/ -- Jeff Nock is the CEO and Founder of Prescient Consulting, LLC, which he has used to help startups, established companies, and non-profit organizations push their limits of success. Often, this means helping businesses understand positive strategic planning and building a stronger foundation to work from. Many businesses consider strategic planning a useful strategy for large, evolving corporations without understanding how it can help set all businesses up for success down the road. On the opposite end are businesses who consider strategic planning an essential component but don’t understand how to develop a truly useful plan. This is where Jeff Nock of Prescient Consulting, LLC lends a hand to teach companies and organizations of all sizes the proper way to strategize for the future. Strategic planning will serve as a company’s blueprint and will help all facets stay on track to achieve predetermined objectives in an evolving marketplace. It will identify key areas of growth and establish both short and long-term goals. A decent strategy plan will specifically call out the milestones you intend to meet within the next year as well as those you hope to meet in 5 or 10 years. He mentions that a good strategic plan will identify some essential components, namely distilling who and what the company is. It will encompass the mission, values, and vision for operation that will set the stage for production. This will help businesses stay on track when there are setbacks, new opportunities, or wide fluctuations in the market. Here, companies should identify why the business exists in the first place and what the guiding principles are that hold the organization together. For example, the Walt Disney Company doesn’t just want to be a source of good entertainment, they want to be the world’s leading source of entertainment and accomplish this by employing top creative innovators and artists while maintaining a family-centric focus. After defining their mission, businesses must set up planned stages for achieving it with clear goals and milestones along the way to measure success. Strategic planning should have a sturdy foundation and core values, but flexible in terms of details. This will help prevent dead ends and upset over not sticking exactly to the plan as you grow.